Living in Northwest Florida, we are no strangers to humidity. After all, next to Louisiana, Florida is the most humid state in the U.S. While humidity makes us feel sticky and uncomfortable, it can also wreak havoc on your home in unsuspecting ways. Even in the winter months, humidity can be a problem for all of us. Listed below are some of the ways humidity can damage your home. Wood floors are a beautiful investment, but too-high humidity levels can be damaging. Wood floors that are exposed to excess moisture are susceptible to rot and may need to be replaced sooner than a less-humid space. For homeowners with carpet, you’re not off the hook either. Humidity promotes mold and mildew growth, which can spread to the carpet and damage it to the point of needing to be replaced. Excess moisture can affect your walls too and ultimately result in wall damage. Sogginess, bubbling, and peeling can occur from high levels of indoor humidity. Even worse, mold growth can grow and cause costly damage. In addition to controlling moisture levels in your home, you can also opt for vapor-retardant paints. Attics are prone to hot and humid conditions, which can damage the floors, walls, and ceilings of your attic. Worse, your stored valuables are all at risk of being damaged, too. Make sure your attic is properly ventilated to avoid this. Humidity is proven to make you feel hotter, which is something no one wants, considering we already have to deal with oppressive heat as it is. These quick tips will help you stay comfortable throughout the winter and approaching warmer weather. Be sure to drink a lot of ice-cold water throughout the day, especially if you’re typically choosing a soda over water. While research varies, the Institute of Medicine recommends about two liters of water each day. Keep in mind you need more water if you’re going to be outdoors on a humid day. 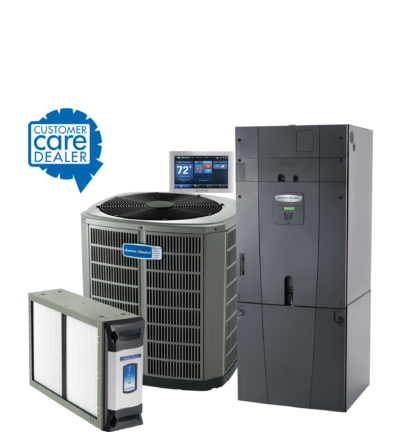 Air conditioning systems also dehumidify the air, but in certain places such as in our area, more is needed. Being hot and humid outside is one thing: you shouldn’t have to feel hot and humid indoors, too. By drawing excess moisture from the air inside, a dehumidifier can make your home more comfortable. Better yet, a dehumidifier can reduce the number of allergens in the air, reducing allergy symptoms as a result. A dirty air filter will slow down your HVAC, making it harder to remove excess moisture that forms in humid conditions. For good measure, replace your air filter at the beginning of each month. If you have pets or allergy sufferers in your home, consider replacing air filters even more. Take shorter showers that are less hot than usual. Steamy, hot showers will only add humid air to the rest of the home, especially if your home is poorly ventilated. If you spend a lot of time in the kitchen, make sure the area is properly ventilated. Without proper ventilation, steam, heat and the like get trapped in your kitchen. This can make the area as well as the rest of your home, much more hot and humid. How do you deal with our area’s humidity? 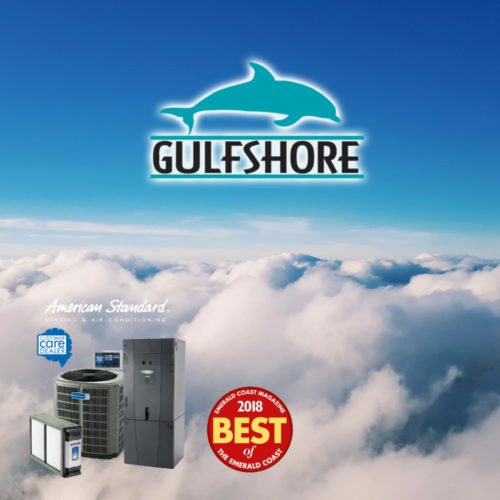 Replacing your home’s out of date heating and air condition system with a new, high-efficiency system from Gulfshore Air is one way to reduce overall humidity in your home. 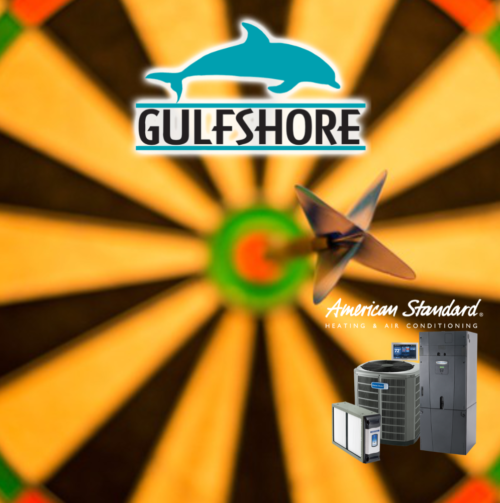 Gulfshore Air takes the health of your home and your family seriously. 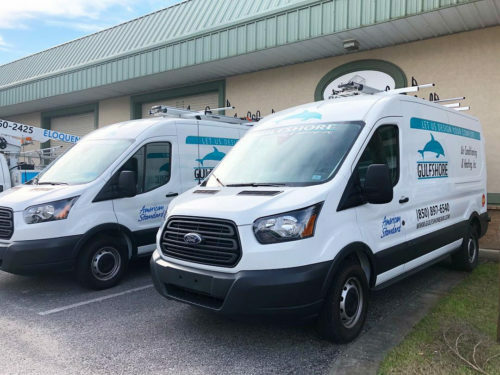 Our team of highly trained technicians and air quality experts are here to diagnose and solve problems of all scopes and sizes. Contact us to start taking steps toward your health today. 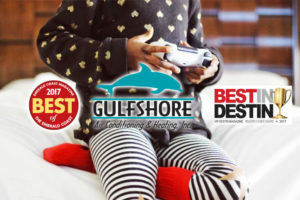 Give us a call at 850-897-6540 or email us at info@gulfshoreair.com.